I just wanted to thank you for your great service. 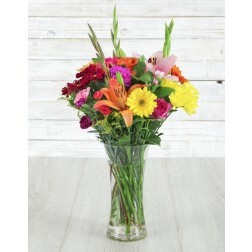 I placed an order for delivery of flowers on Friday night in Canada and the flowers were delivered Saturday afternoon in Johannesburg as requested. My mother was celebrating her 70th birthday at the time of delivery; the flowers made her cry with happiness.